3 Beds |2 Baths | 1634 sq. ft.
3 Beds |1 Baths | 1288 sq. ft.
2 Beds |1 Baths | 624 sq. ft.
3 Beds |1 Baths | 1056 sq. ft.
3 Beds |2 Baths | 2097 sq. ft.
4 Beds |3 Baths | 2776 sq. ft.
3 Beds |2 Baths | 2242 sq. ft.
5 Beds |2 Baths | 3641 sq. ft.
3 Beds |2 Baths | 2416 sq. ft.
4 Beds |1 Baths | 1440 sq. 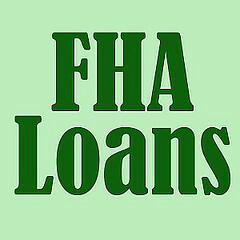 ft.
A fast and easy refinance for those with an FHA mortgage | CharlotteObserver.com. Verification and documentation requirements are also very light compared to the traditional mortgage requirements. With an FHA refinance, there is no employment verification and no income verification. While the FHA approves these lighter requirements, some individual lenders may decide to verify these items for their own purposes. FHA Streamline Refinance also does not require a credit score verification. Instead, payment history is used as a guideline for your ability to pay the loan in the future. So, low FICO scores are not a problem as long as your payment history is in good shape. • First, you’ll need a history of making payments on time over the past year, and at least six months must have passed since the closing date on your original FHA mortgage. • Second, while there are no requirements for employment verification or income verification, you do need to provide copies of your W-2s or tax returns. • Third, your loan balance cannot increase to cover closing costs. You can only add the upfront portion of the required mortgage insurance premium to the balance of your loan. So, the new loan balance can’t exceed the current amount outstanding, plus the upfront portion of the mortgage insurance premium. You’ll either have to pay the closing costs upfront in cash, or qualify with your lender for a zero-cost FHA Streamline refinance. • Finally, the refinance must have a purpose that benefits the homeowner, such as significantly lowering the monthly mortgage payments, or moving from an adjustable-rate mortgage to a more stable fixed-rate mortgage. If lowering the monthly payment is the purpose, you must be able to demonstrate at least a 5 percent drop in your monthly mortgage payments, including the mortgage insurance premiums. The FHA frequently updates these mortgage guidelines, and individual lenders may add their own specific requirements, so it’s best to check with your preferred lender to determine your exact situation. Also, if your original FHA mortgage was closed after May 31, 2009, the mortgage insurance premiums most likely will be significantly higher, so make sure to evaluate those costs carefully versus the savings you’ll receive from the lower interest rate. FHA cuts mortgage wait times after hard times. Don’t Let a Short Sale Keep You From a New Mortgage | Consumer Information. If you negotiated a short sale of your home, you may be surprised to learn that some mortgage loan underwriting systems can’t distinguish short sales from foreclosures on consumer reports. And that may keep or delay you from getting a new mortgage. You see, borrowers who go through a foreclosure typically have to wait seven years before they’re eligible for a new mortgage. But short sellers may qualify in as little as two years. When you’re trying to buy a new home, an additional five years can seem like a lifetime. So is there anything you can do to improve your financial footing? You bet there is. Get a letter from your lender confirming that your loan closed in a short sale, not a foreclosure. Send a copy of the letter to each of the nationwide credit reporting companies: Equifax, Experian, and TransUnion. Order a copy of your credit report. Make sure the information is accurate. If you find a mistake, contact the credit reporting company and business providing the information to correct the error. 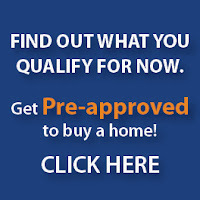 When you’re ready to buy another home, get pre-approved for a loan. A pre-approval letter from a lender shows that you are able to go through with a purchase. Pre-approval is not a final loan commitment; it means you met with a loan officer, your credit report was reviewed, and the lender believes you can qualify for a specific loan amount. This pre-approval process allows your lender to identify issues and errors in your credit report that may keep you from qualifying for a loan. That, in turn, allows you to correct inaccuracies before they can prevent you from buying another home. Documenting Disability Earnings as Stable Income. provided in response to requests for clarification on this issue. Effective Date This ML is effective immediately. All income from the Social Security Administration (SSA) including, but not limited to, Supplemental Security Income (SSI), Social Security Disability Insurance (SSDI), and Social Security Income, can be used to qualify the borrower if the income has been verified, and is likely to continue for at least a three year period from the date of mortgage application. Federal tax returns; the most recent bank statement evidencing receipt of income from the SSA; a Proof of Income Letter, also known as a “Budget Letter” or “Benefits Letter” that evidences income from the SSA (Please visit http://www.ssa.gov for an explanation of types of letters issued by the SSA); or a copy of the borrower’s Social Security Benefit Statement, SSA-1099/1042S. In addition to verification of income, the lender must document the continuance of this income by obtaining from the borrower (1) a copy of the last Notice of Award letter which states the SSA’s determination on the borrower’s eligibility for SSA income, or (2) equivalent document that establishes award benefits to the borrower (equivalent document). If any income from the SSA is due to expire within three years from the date of mortgage application, that income may only be considered as a compensating factor. Note: Pending or current re-evaluation of medical eligibility for benefit payments is not considered an indication that the benefit payment is not likely to continue. Note: An initial Notice of Award letter (or its equivalent) may specify a start date for receipt of income in the future. Lenders may consider this income as effective income as of the start date specified in the Notice of Award Letter. The borrower must have other income to qualify for the mortgage until the start date for receipt of income. Note: Other forms of long-term disability income (such as worker’s compensation or private insurance) may be considered qualifying income with a reasonable expectation of continuance. Lenders should use procedures similar to those noted above to verify such income.